The new year is a chance to forget the past and move forward in wonder of what exciting times might be ahead - not least of which concern the frozen margaritas you'll be mixing this year. Add the vanilla extract, sugar and dried hibiscus flowers to a small saucepan. Bring to a boil, then reduce heat to medium-low and stir consistently until sugar is melted. Add ice to the ice reservoir of the Margaritaville® Jimmy Buffett Anniversary Edition Key West™ Frozen Concoction Maker®, then add the hibiscus-sugar mixture and the remaining ingredients to the glass jar and concoct. Dip margarita glasses in water then in salt to line rims. Pour frozen margarita into glasses, garnish with lime wedges and enjoy. Add the water, sugar, lemon juice and lime juice to a large glass, and mix until combined. Add ice to the ice reservoir and remaining ingredients including sugar mixture to the Margaritaville® Jimmy Buffett Anniversary Edition Key West™ Frozen Concoction Maker® glass jar and concoct. Dip margarita glasses in water then in sugar to line rims. Pour frozen margarita into glasses, garnish with cherries and enjoy. Spice up a strawberry concoction with Sriracha. Add ice to the ice reservoir and all remaining ingredients to the Margaritaville® Jimmy Buffett Anniversary Edition Key West™ Frozen Concoction Maker® glass jar and concoct. Dip margarita glasses into water and then in sugar to line glass rims. 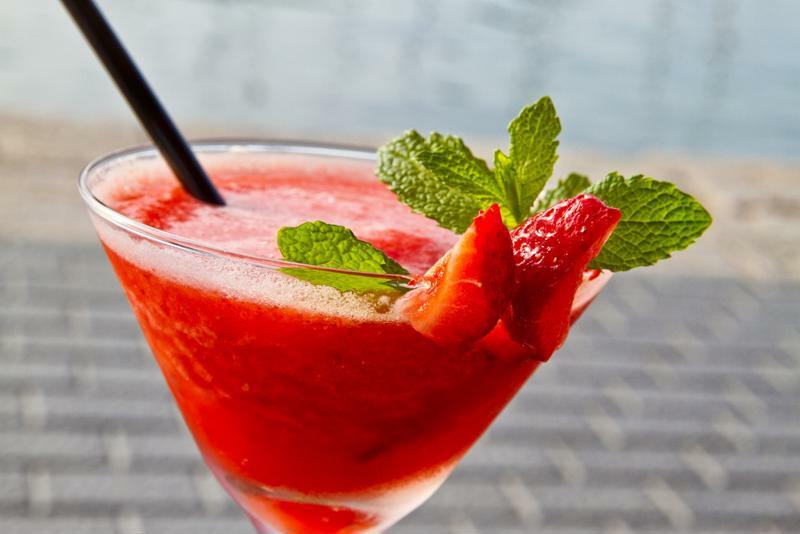 Pour frozen margarita into glasses, garnish with fresh strawberries and enjoy.